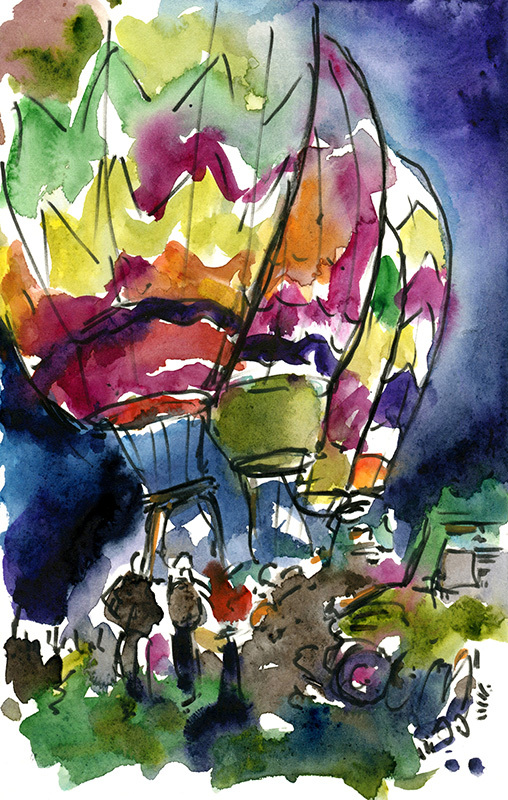 My alarm was set for 3:45 am for the Hot Air Balloon Classic, but I awoke on my own, one hour earlier. Dawn Patrol begins promptly at 5:00 am and I wanted to be sure to make it on time. After entering the gates of Keiser Park, I passed through the concession tents, the aromas of coffee and grilling pancakes warming the cool morning air. When I walked onto the field, several trucks pulled into position and parked. 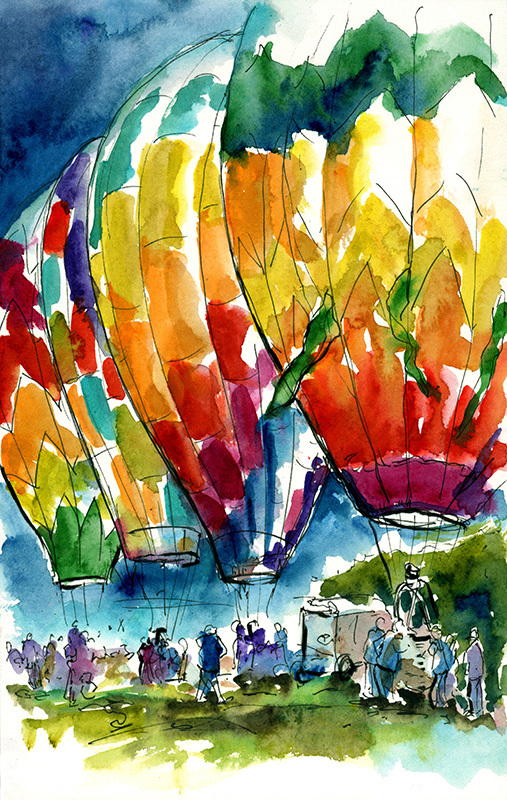 Balloons were unloaded from trailers and with a flurry of activity, unrolled across the grass. Compressors then filled the balloons until they rose up like sleeping giants. 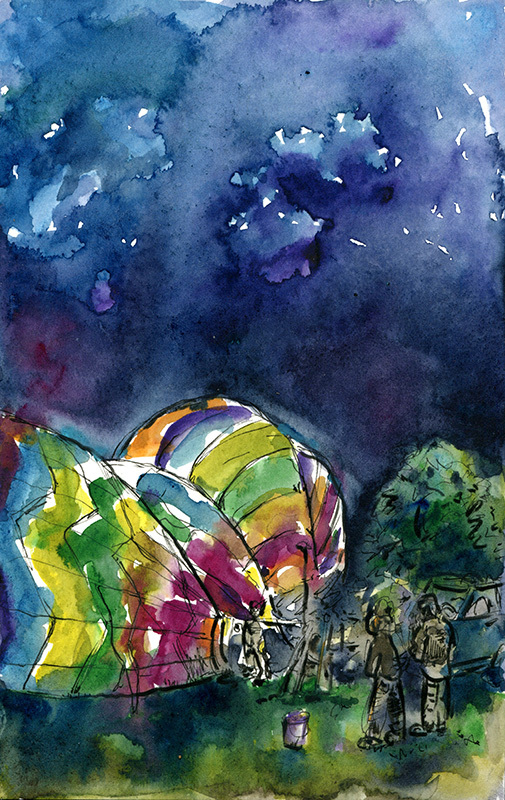 With four balloons now standing side by side, Dawn Patrol began. 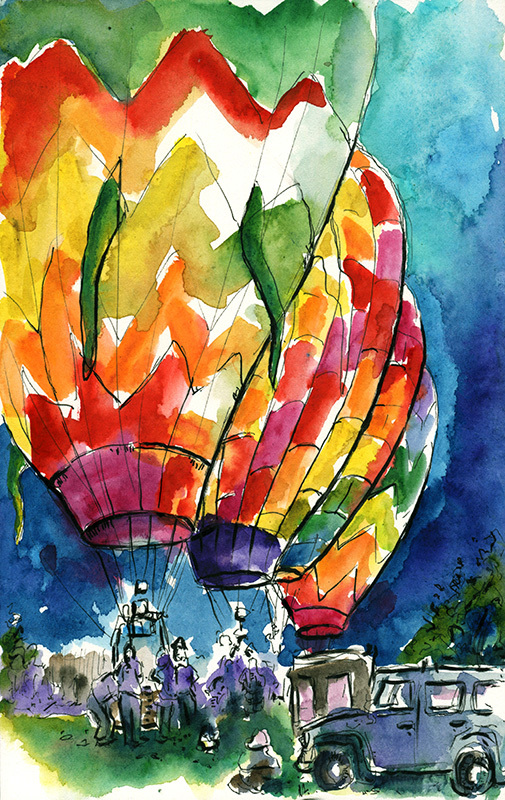 Hissing flames lit the brightly colored fabrics in a spectacular array of colors and soon after the balloons ascended into the morning sunrise. June 21, 2015 Richard SheppardComments are off for this post.